Since Israel became a nation in 1948, the international community has been unsuccessful in all of its bids to bring a lasting peace to the Middle East. The latest attempts by France in this regard on June of 2016, will prove to be as nonproductive as its predecessors. The time has come for the global community to think outside of the box for alternative solutions to this problem. If they don’t, diplomacy will soon be interrupted by war! The reasons for their failures to accomplish peace are actually quite simple to understand and explain. The simple explanation is that the only successful method to achieve this illusive peace is to follow the blueprint model provided in the Holy Scriptures. The Arab-Israeli conflict is deeply rooted in an ancient hatred. The Bible identifies it as a perpetual enmity and it is integrated into the geo-political and religious complexities existing in the region today. It’s a spiritual matter and it cannot be satisfied through secular solutions. This means that the Lord must be the essential part of the final equation. Fortunately, the Bible provides a specific plan for Mideast peace and the Arabs will be glad to know that it does include a land for peace clause. This article provides the biblical basis for the only successful manner to end the Arab-Israeli conflict and achieve a lasting peace in the Middle East. Israeli Prime Minister Benjamin Netanyahu informed the world at the UN General assembly that Israel exists today in fulfillment of the Lord’s plan as foretold in Bible prophecy. The quote above was taken from Amos 9:14-15. This is simply one verse among many others that predicted the restoration of the nation of Israel. One of these other related prophecies declares that the current regathering of world Jewry into Israel is a bigger miracle than the parting of the Red Seas. That monumental miracle at the time of Moses has rightfully been memorialized in the minds of the Jews throughout their history. However, Jeremiah the prophet predicts, that the Red Seas parting will pale in comparison to the regathering taking place presently. The first thing that the world leaders need to recognize and accept is that Israel exists today as a marquee miracle of God. The Bible informs that the timing, location and reason for the creation of a nation, or recreation in Israel’s case, is determined and implemented by the Lord. Thus, the existence of Israel today is appointed by the Lord to be the Jewish state. Once this critical understanding is acknowledged by the pertinent parties, then the Bible’s Mideast peace plan can be appreciated and supported. The secular mindset generally believes that the existence of Israel resulted from a United Nations moral obligation to provide a safe haven for the Jews after the horrendous holocaust. This is a fallacy and detracts from the momentous sovereign undertakings of the Lord to put Israel back on the modern day maps. This ignorance facilitates the mindset that believes man has the power to rezone the biblical Promised Land to its favor. It also enables the Palestinians and their Arab cohorts to deny the existence of Israel as the Jewish state. According to Bible prophecies, Israel is to be recognized as the Jewish state now! Beating around the bush and denying this miraculous fact prolongs the agony. In light of the dangerous conflicts taking place all over the Middle East, there is no more time for the global community to test the Lord’s patience in this matter. The plan inscribed below, which was presented by the prophet Jeremiah approximately2600 years ago, was to be fully implemented when Israel became a nation on May 14, 1948. Failure to do so has caused over six decades of conflict in the Middle East! This plan represents the compassionate peaceful political and spiritual solutions to the regional problems of the return of the Jew into the Holy Land. Jeremiah suggests that his God would cause the corridors to open for the Arabs to leave the land destined to become the Jewish state and return to the lands of their ancestry. In addition, He would resettle the Jews out of the surrounding Arab nations, and bring them back into their homeland Israel. As each ethnic group migrated, they would vacate homes and jobs enabling economic opportunities for the returning peoples and in some cases, already existing communities to inhabit. These Jeremiah passages represent the ancient blueprints, divinely designed to insure the successful return of the Jewish people back to the land of their heritage. This plan was put into sovereign place after World War I when the Arab countries gained their statehoods. Jeremiah 12:15 says, “I will return and have compassion on them and bring them back, everyone to his heritage and everyone [Jew and Arab] to his [respective] land.” How’s that for a land for peace solution? The remapping of the atlases after World War I makes the political land for peace deals of our time pale in comparison. The Middle East conflict that confounds the politicians today has not caught God off guard. The biblical peace plan took into consideration that there would be “evil neighbors” homesteading the holy land. He foreknew they would need be relocated to make way for the return of the Jewish people. Provisions were included in Jeremiah’s prophecy for their future as well. They would be “plucked out” and resettled in their former homelands. A fertile future awaited them, if they entreated their affections to Jehovah, Jeremiah’s God. In an apparent fulfillment of the Jeremiah 12:14-17 prophecy, millions of Arabs have been “plucked out” from the territory formerly recognized as Palestine. For almost seventy years, these uprooted Arabs have been unable to relocate into an alternative homeland. These Arabs from Palestine have been reduced to a refugee status because their Arab relatives have mostly shut their national doors on them. These Palestinian Refugees are in the Gaza, West Bank, and in several of the neighboring Arab nations. These refugees serve as a buffer between Israel and the surrounding Arab states. 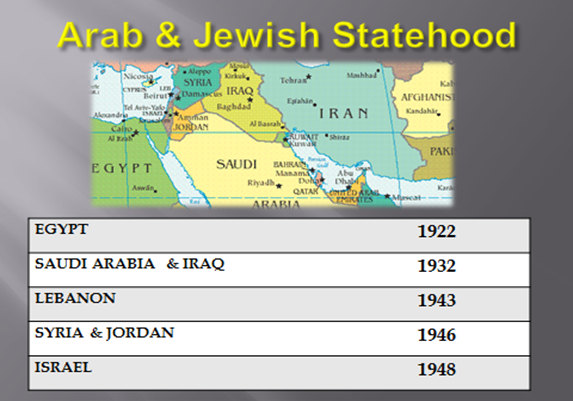 These Arab nations have cleverly managed to shift the burden of responsibility for the relocation of these refugees into the lap of the International community, the same community that legislated the re-establishment of the nation Israel as the Jewish State, implemented in 1948. UNRWA the (United Nations Relief and Works Agency), was established May 1, 1950, to find a solution to this refugee problem. The fact that Jeremiah described the affected Arabs as “evil neighbors”, who would be “plucked out”, indicates that in the foreknowledge of God, the return of the Jew into the holy land, would not be a smooth process. Otherwise, he would have used substitute terms like, “good neighbors”, and “escorted out”. Hence the world now has an explosive Middle East conflict on its hands. At this point, it should be duly noted that there is no Jewish Refugee crisis, since they have been welcomed and assimilated into Israeli society. The absence of any such crises is one less burden upon the United Nations, and also evidences that the Jewish people are operating in compliance with the biblically endorsed peace plan. The time to have implemented the Lord’s Mideast peace plan has passed. The golden opportunities after World War I and World War II were missed. The British Empire missed the first opportunity by failing to execute the Balfour Declaration of 1917. This official document was designed to create a Jewish state after World War I. The creation of Israel prior to World War II would have spared many Jews from the genocidal campaign of the Germans. Today, Great Britain is only a fragment of what it once was! In seventy years, between 1920 and 1990, in the midst of Israel’s rebirthing process, Britain collapsed as a world superpower. 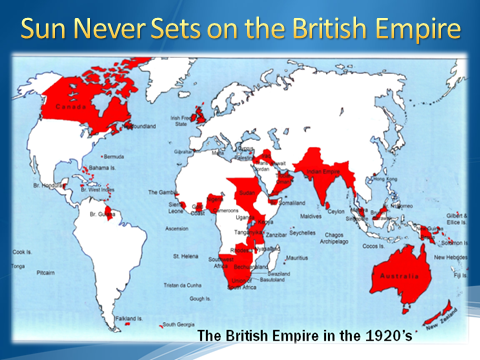 Now the sun always sets on the British Empire. 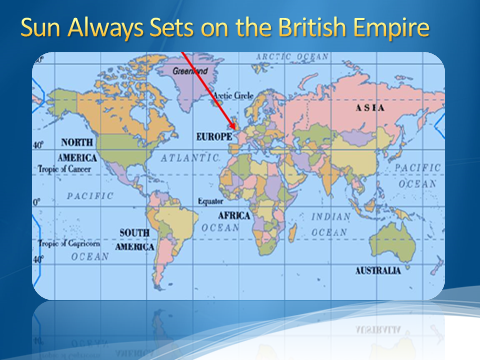 Today the UK only spans 94,058 square miles and has a population of only about 64 million. As the British Empire declined, America emerged as the world’s superpower nation. We were then called to put the Lord’s Mideast peace plan into effect. The USA played an instrumental role in the recreation of Israel. However, America did not seize the chance to enforce the biblical plan for peace at the time. This failure has resulted in US Presidents over the past several decades attempting to recreate this missed opportunity. Unfortunately, these US Presidents have been and are currently pushing Israel to forfeit land for peace, which is not biblically endorsed, rather than utilizing the Bible’s roadmap plan for Mideast peace. This is why their political efforts toward peace continue to fail. It is also one of the reasons that America is declining as a superpower. The Lord lifted up America as the sovereign tool to implement His Middle East peace plan, but the USA has failed and now mankind must face the inevitable. The Arab states that refuse to worship the God of the Bible, rather than the false god Allah, will never embrace this Mideast peace plan. The Lord foreknew this would be the case and instituted the “pluck up and destroy” clause in His Mideast peace plan. 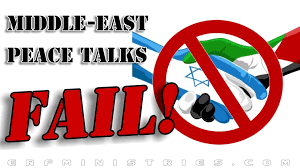 The destruction of an Arab state will facilitate the implementation of the Lord’s peace plan. That state will no longer exist to oppose this plan. The destruction of the opposing Arab state is predicted in several Bible prophecies. To learn more about these prophecies and what will be the end of the Arab-Israeli conflict, you are invited to read my book entitled; Psalm 83: The Missing Prophecy Revealed, How Israel Becomes the Next Mideast Superpower. The book and related DVD’s are available HERE.